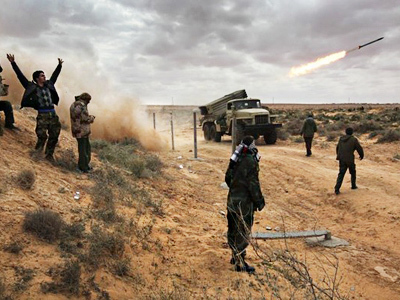 As internal strife in Libya continues to pick up pace, its ravaged oil industry seems to have been placed on the firing line, where both the loyalists and the rebels are contending for total control of production. 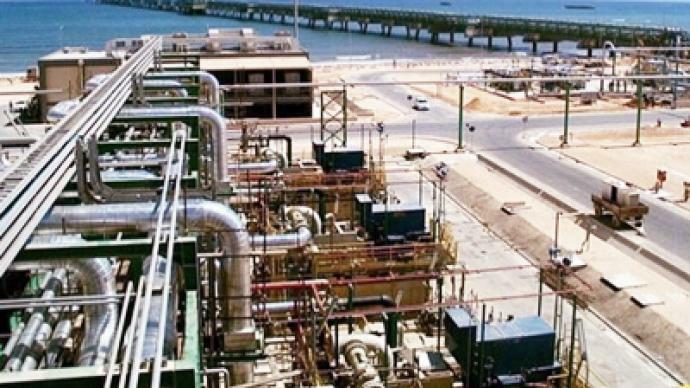 ­Libya’s oil industry, which prior to the uprising was churning out around two per cent of the global oil output, seems to also have fallen victim to the unrest. The oil port of Tobruk is probably the last major oil facility in Libya that still maintains regular operations and continues sending oil to the world market. Just last week, two tankers departed from this terminal. The first, carrying 1 million barrels of oil, was bound for China. Another, with 600,000 barrels on board is now on its way to Italy. Located deep in the east, Tobruk was one of the first cities taken over by the rebels. Being far from the frontline spared this facility much of the damage that has befallen similar plants in the west and allowed it to operate at a relatively normal pace. The only visible change is the rebel's tricolor flag that has replaced the green Libyan flag at the guard post. The plant's management now reports to the opposition leaders in Benghazi. 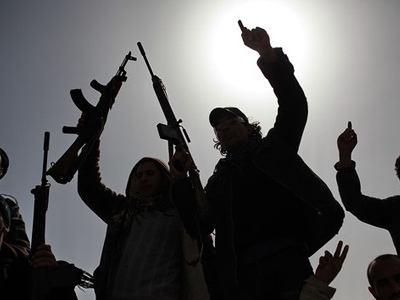 With Libyan banks still paralyzed, oil buyers have to pay in cash, with the proceeds going directly to the opposition. The plant also ships part of its output to other cities controlled by the rebels. 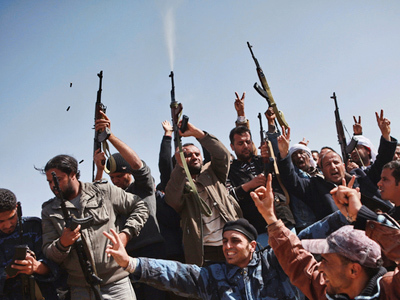 Meanwhile, elsewhere in Libya oil facilities remain a danger zone. While both the Gaddafi side and rebels have said publicly they will not seek to destroy oil infrastructure, the long-term damage is already apparent. On Wednesday, a refinery in Ras Lanuf, a focal point of recent clashes, was set ablaze. The two sides blamed each other for the incident. 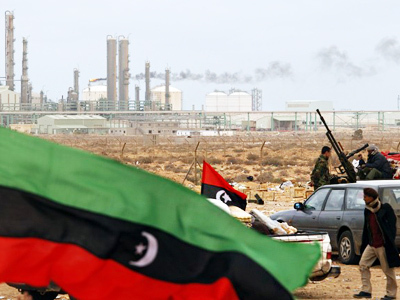 “Regardless of who wins this struggle, it will take years before the Libyan oil industry will go back to normal,” said Dianne Sutherland, chief editor at Petroleum Africa Magazine. As fuel prices continue to rise across the world, the Libyan government is undertaking yet another attempt to pacify rallying crowds. At Libyan pumps, petrol is now about 25 per cent cheaper. 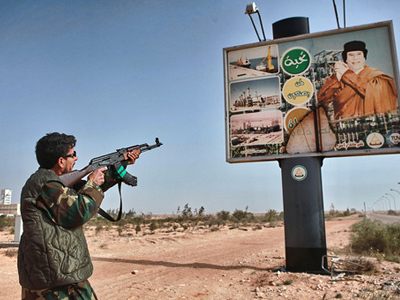 “After the revolution, the Gaddafi government decreased fuel prices to 15 Libyan cents. It used to be 20 Libyan cents. But it's too late. He should've done it before,” said local resident Tarik el Haddad. Fuel was never particularly expensive in Libya. With exports accounting for more than 80 per cent of the country's normal oil output, the Gaddafi government could afford lavish subsidies. But the foreign, mainly Western, companies pumping money in had long hedged on the stability of the Libyan regime, and now stand to lose out. Libyan oil is low in sulfur, which makes it highly valued in the West, because the fuel produced from it gives off less pollution. And it is this light, sweet oil that that has kept Western companies on sweet terms with the Gaddafi regime for decades.